Today I’m guest posting at On the Laundry Line, where Laura is assembling tutorials for her “Summertime and the Living is Thrifty” series. 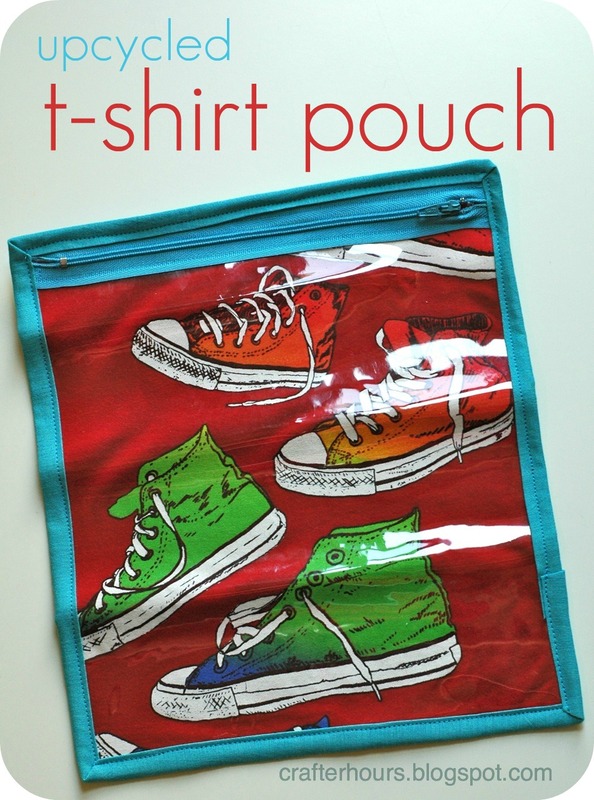 I’ve added my “upcycled t-shirt pouch” to the lineup. Some shirts are just too fun to pass up or pass on… but they can’t ALL make it into the wardrobe rotation, especially if they’re not sized to fit anyone in your household in the forseeable future. So instead of languishing in a closet, they can make cute bags! An exposed zipper makes these super quick and easy, and the stretch fabric makes it a flexible store-all. Check out the how-to, and say hi to Laura for me! I love the project, and you know what, with a black ‘cool’ (or is it not cool to say cool anymore?) tee and a red zipper this would be awesome for the Moody Angsty Teen set. Back to school, even?! Love this! Thanks for the tutorial! Cute idea Susan! That’s cool!